Education gives us knowledge of the world around us and changes it into something better. It develops in us a perspective of looking at life. It helps us build opinions and have point of view on things in life. Literacy is meant for ability to read and write, whereas education is finding out the reason behind everything and using this reading writing skills to improve their lives. Education must be not only a transmission of culture but also a provider of alternative views of the world and a strengthener of the will to explore them! Bibliothecography, library science is a multidisciplinary field that applies the practices, perspectives, and tools of management. The importance of special libraries cannot be overemphasized. School libraries run independent learning programs which integrate information resources and technologies, provide and promote quality fiction to develop and sustain in students the habit of reading for pleasure to enrich student’s intellectual, aesthetic, cultural and emotional growth. But, unfortunately, there are many schools in our city which do not have access to libraries. We are all aware that the most important thing to provide for empowering the unprivileged ones of this society is books. Therefore, Treasures of Innocence have taken the initiative to ignite these beautiful minds with varieties of books collected from schools, colleges, universities and many other resources. Our motive is to provide them the pleasure of reading and the essence of a library. To improve the creative power of children a community-based intervention Reading Corner is going on in our different program areas. 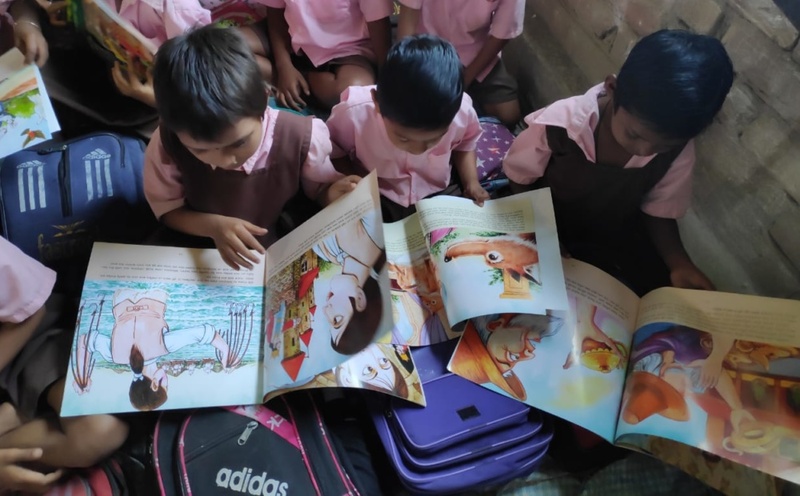 Along with working inside schools ToI team engage people from different sector in building awareness on the importance of reading books and collecting books from regular schools, corporate and individuals. 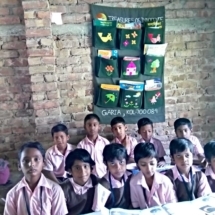 Children groups have been created in the schools to focus on developing an environment where children are able to learn and become thinking individual. 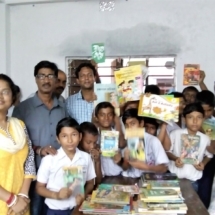 The volunteers from different educational institutions, universities, corporate houses take active roles in shaping up of these libraries and help children to learn on their own. Our library program helps children to enhance their constructive powers by making them think beyond course books. 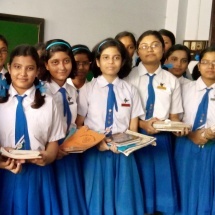 It also provides them with relief from the daily chores of study. At times when assignments seem boring, they could be made interesting by joyful learning?. Inculcate in the children the habit of reading. Improve the reading and writing skill of the children. Further the knowledge beyond schoolbook and better understanding of course work. Expand the ability to concentrate and create. Enhance the power of imagination and impart creativity within them. Impart moral values within them and help them to deal wisely with various situations in life. The library program guides the children a better way to express themselves and blossom into responsible individuals. From the beginning, it was clear that school curriculum, with its emphasis on rote learning of a select set of subjects, is not enough to turn children into thinkers and lifelong learners. The library, with its emphasis on child-led curiosity and inquiry, was the crucial missing element in children acquiring a well-rounded education. Children become thinker who can interrogate the entire world of knowledge contained in a library. 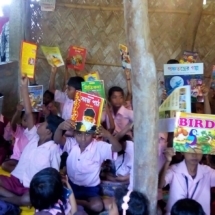 We have started the project in 2015 and will be continuing it until all the underdeveloped schools and their children get to know the meaning and importance of a library. Learning is their journey, let them navigate, push them to explore. Watch them discover. Encourage their questions, allow them to struggle, support their thinking. Let them fly! 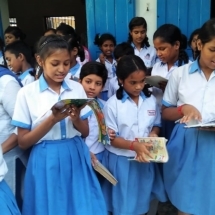 With the support of our patrons, we are operating Libraries in 12 different schools. Reading for children should go beyond their prescribed textbooks. 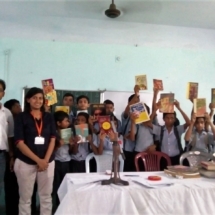 The objective is to introduce children with books of all flavors and inculcate the habit of reading in them. 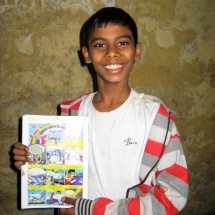 Children are so happy and they are excited to see so many colorful books. They want to read these books. We are really happy to see these smiling faces and hope one day these children will start writing their own stories. Make Donation. Your contribution would be used in the improvement of the library program. 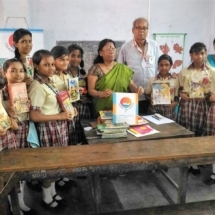 Donate Books. We also take old books in good condition. LET’S MAKE THE NATION SMILE!